Sitemaps have been shown to help search engines and other visitors understand and navigate your website. This tutorial gives you a simple yet powerful .htaccess technique for ensuring that search engines and other visitors can easily find your sitemap files. So even if they are looking for your sitemap in the wrong location, they’ll always be redirected to the actual, existing sitemap for your site. This strategy helps to improve consistency, minimize 404 errors, and save server resources. So it’s good for performance and SEO. In general, sitemaps are served in XML format, but they also come in zipped flavor, typically via GZ (g-zip compressed) format. So for most sites, it is common to provide two versions of your sitemap: one with an .xml extension, and another with an .xml.gz extension. For compliant search engines that know what they’re doing, this simple robots declaration is all that’s needed. The spiders will hit your robots.txt file before the crawl, locate your sitemap, and continue to crawl your site accordingly. Sounds easy, right? If you examine your site’s access and error logs, you may find all sorts of 404 “Not Found” errors for these sorts of requests. This type of apparently random scanning for “secret” sitemaps happens constantly around the Web, wasting valuable server resources like memory and bandwidth. It’s the sort of malicious activity that’s a real nuisance for anyone paying attention. Fortunately there is no need to tolerate such lunacy.. 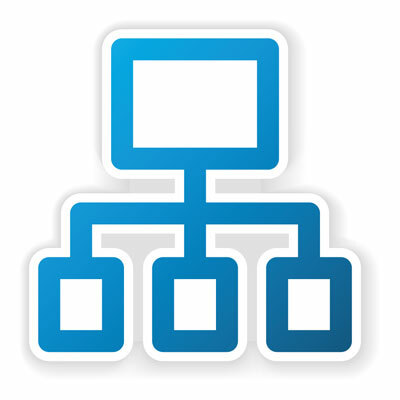 So in the site root directory is my main sitemap, which includes lots of “sub-sitemaps”. Pretty sure this is the most common (and recommended) structure for sitemaps, but let me know if I’m sorely mistaken about this. Hopefully this scenario covers your own setup; if unsure, you can examine your sitemap(s) and verify accordingly. So if that sounds like you, make a quick backup of your site’s root .htaccess file and get ready for the magic bullet..
I’m facing a problem that maybe related to .htaccess and i’ve read your posts trying decipher if it’s the problem. The permalinks of many images that I have in my website are not the same that the file url and it’s creating many 404 errors. I’ve checked the sitemap and I don’t understand why this is happening. Any ideas how can I fix it? Hi Monique, It looks like something is interfering with normal functionality. My best advice would be to troubleshoot your plugins and theme to determine if there is any issue. Also investigate any .htaccess rules that you may have in place, to see if any of them affect related URLs.